The Emerald Campus will be equipped with state-of-the-art technology to provide students with all the right tools. It’s always exciting to have a new kid in school. Starting in the 2018-19 school year, Dublin City Schools won’t just welcome new students, it will welcome an entirely new building. As Dublin grows, so must the school district. Rather than building a new fourth high school, Dublin City Schools administration brainstormed an alternative that would save time, money and, hopefully, foster connectivity between the three existing high schools. The solution? The Dublin Emerald Campus. In 2017, Dublin City Schools purchased what used to be the Verizon office building, located at 5175 Emerald Pkwy. By procuring an existing building rather than constructing a new one, the schools avoided spending between $75 and $90 million. The bonus for students and teachers, however, is priceless: giving Dublin students a tighter-knit community. The academies are small,so students and teachers are able to for close bonds. Dublin City Schools’ Career Exploration Academies offer Dublin students the opportunity to explore a field they believe they might be interested in pursuing after graduation. The academies, which are made up mostly of juniors and seniors, have been separated among the three high schools. Until now. Starting with the new school year, seven academies will take up residence in the Emerald Campus: The engineering, biomedical research, Dublin teacher, Dublin business, IT, young professionals and Cisco academies will welcome students from any of the three high schools, and Venne says the Emerald Campus will see other academies join in coming years. In a changing technological world, those academies might just focus on a career that doesn’t even exist yet, but Dublin plans to be proactive. Venne says the purpose of the Emerald Campus can be summed up with one Japanese word: ikigai, which means “reason for being.” She says it’s broken into four parts – what the student is good at, their area of interest, what the world needs and what the student can be paid for. If the Emerald Campus finds the subject where those four parts intersect for students, Venne says, it’s a success. However, professional academy students can also expect to see some new faces around the Emerald Campus. College credit plus, Path Program and the Bridge students will also take residence there. College credit plus students are offered classes through Columbus State Community College; the Path Program, formerly called Post Secondary, helps students without a diploma find success; and the Bridge, formerly known as West Bridge, is for current high school students with alternate needs who require a nontraditional classroom experience. Venne recommends community members to keep an eye on the Emerald Campus, as administration has goals to continue to grow and offer students – traditional or not – more opportunity to expand their horizons. This includes new software that tests students and provides them with a profile description, recommending careers that might fit their interests and personality. 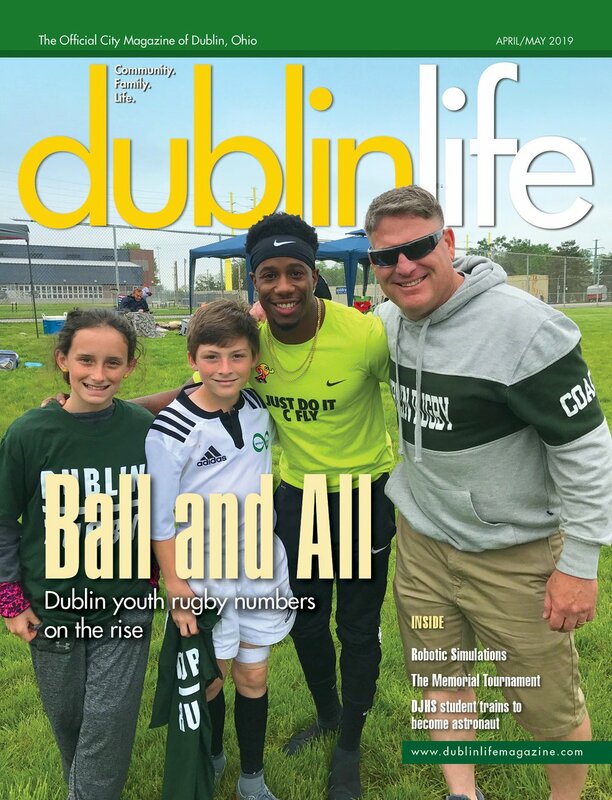 It will also include a professional database through which students can connect with organizations and individuals in Dublin, which will be accessible to staff members in all grades at every Dublin school. Venne hopes this will be attractive not only to students, but to Dublin’s many professionals who might be interested in getting involved with students but aren’t sure how. Dublin City Schools administration’s ultimate goal is to prepare students for what follows graduation – whether that plan includes a college education or not. At the end of the day, it’s about giving students the tools to know what they want to do after graduation, and preventing the random selection. To learn more about Dublin City School District’s Emerald Campus, or to get involved in the professional partners database, visit www.dublinschools.net/emeraldcampus.aspx.